LONDON, England -- Pressure is mounting for England's football fixtures in the European championship to be switched to venues in Poland in protest over the Ukraine government's "deteriorating" record of political persecution. Senior EU political figures including commission president José Manual Barroso and foreign affairs chief Catherine Ashton have said they will boycott the Ukraine leg of the championship. Pressure has mounted on Kiev in recent days after it emerged that Tymoshenko may now face a murder charge and that the country's chief prosecutor has been given direct political orders to pursue the former premier and other government opponents. England are due to play their three group matches in the former soviet state - including a fixture against the hosts. Tannock, the UK Conservative foreign affairs spokesman in parliament, said, "In my opinion England should be seeking to play in Poland instead of a country whose government is behaving in a way that is insupportable by anyone with a care for human rights and open democracy. "I believe the stance of politicians who are boycotting Ukraine will have an effect. "If politicians wish to attend their countries' matches there they should go as private citizens. That will send a message to Kiev: that we want them to grow into a modern European state and ultimately to join the EU - but that will require much higher standards of political behaviour than we have seen of late." Meanwhile, MEPs have endorsed a resolution on the current situation in the Ukraine, highlighting alleged problems with human rights and political repression in the country. It comes in the wake of growing concern about the treatment of Tymoshenko and other leading opposition political figures. Deputies voiced concern about the Ukraine regime in a debate and vote in parliament. Greens/EFA co-president Rebecca Harms said that in adopting the resolution parliament had "strongly criticised" the Ukrainian president and his government. The German MEP declared, "The EU cannot support a regime that is leading its country away from freedom and democracy and towards isolation. 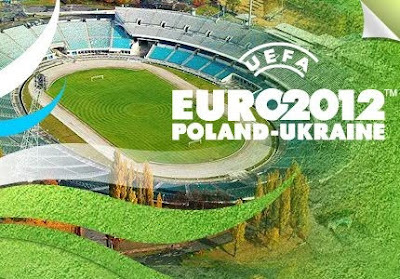 She added, "The coming European football championships should be used by all those involved to send a clear message to the Yanukovich regime against political repression and the treatment of politically held prisoners like Yulia Tymoshenko and other opposition politicians. "Hosting the tournament in Ukraine was supposed to bring the country closer to Europe and to recognise its efforts towards democratic transformation. "UEFA chief Michel Platini should finally take a clear stance and speak out against political repression, rather than sniping at concerned sportspeople who do so." Her comments were broadly echoed by her party colleague, the Greens foreign affairs spokesperson Werner Schulz. He said, "The opposition politicians who were responsible for bringing the European championships to Ukraine will be languishing behind bars, while the current regime will be sitting in the stands and basking in the glow of the tournament. "It is high time to show this regime the red card for its persistent abuse of human rights and political repression. The EU needs to do far more to counter the emergence of a new dictatorship in its eastern neighbourhood. "The association agreement cannot be signed so long as there are political prisoners. There will be no free elections while key opposition politicians sit in jail."